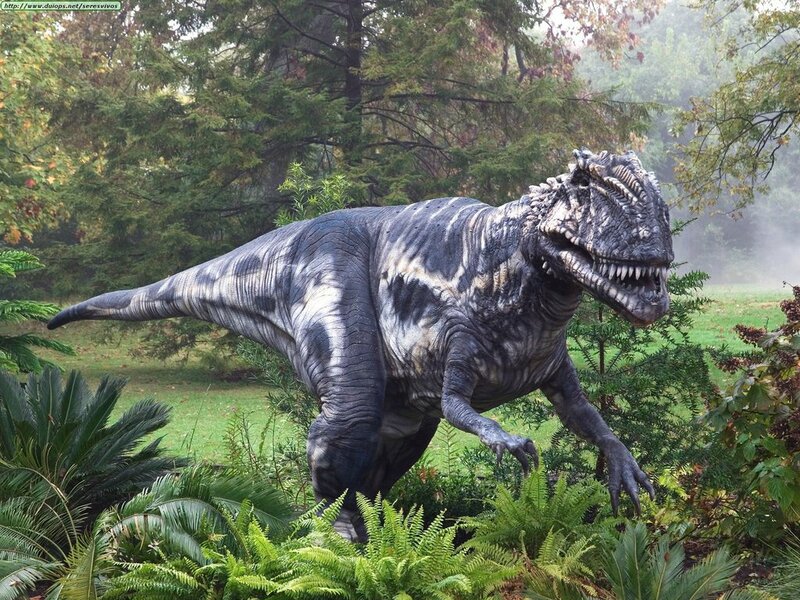 Megalosaurus is a dinosaur which walked the Earth about 166 million years ago, during the Jurassic Period. This dinosaur was not only one of the earliest discovered dinosaurs, it is also one of the first dinosaurs to be described in scientific literature. 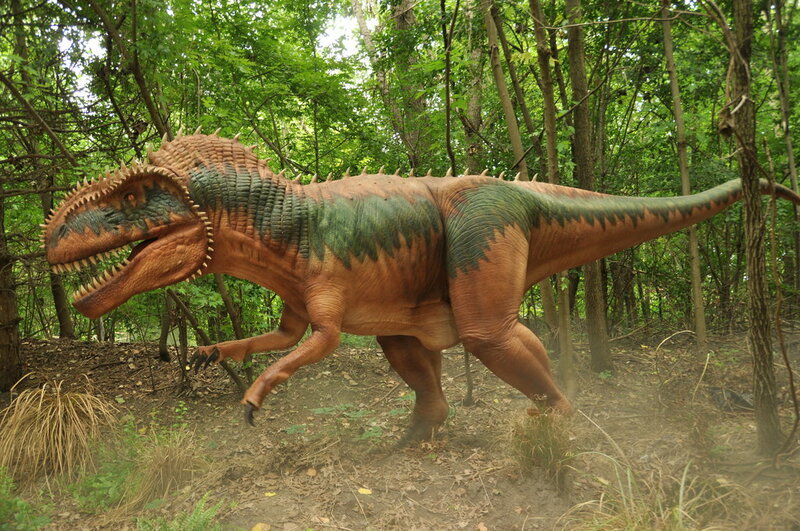 This dinosaur was first discovered in 1676 at a stone quarry in England. While this original bone is now lost, it was described in the Natural History of Oxfordshire. However, it was misidentified as a thigh bone of a Roman war elephant by Robert Plot. Later, a more intact fossil of this dinosaur was discovered in 1819 by William Buckland. Five years later, he named it Megalosaurus; a name which means “great lizard.” In 1827, it was finally assigned its scientific name: Megalosaurus bucklandii. When this dinosaur was alive it was quite a formidable beast. It was approximately 30 feet long, 10 feet tall at the hips and weighed approximately a ton. It was an aggressive hunter that relied on its natural speed and powerful jaws to take down its prey. Scientists believe this dinosaur combed coastal regions to hunt plesiosaurs or to scavenge fish that have washed upon the shore. 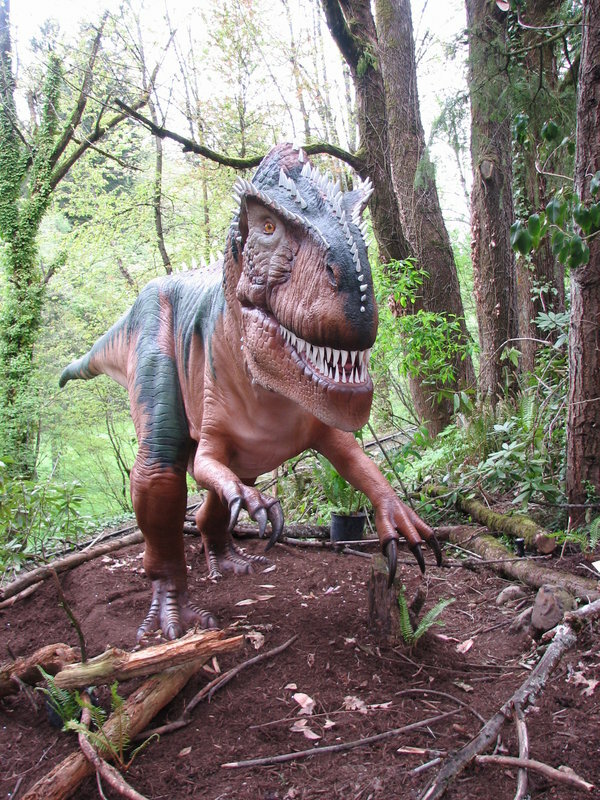 This scenario was put forward because many of this dinosaur’s fossil remains have been found with marine deposits. Likely, this dinosaur not only hunted Plesiosaurs or washed up fish, but probably used several hunting strategies. It was one of the smartest of the dinosaurs of the time and probably adapted its hunting style according to the prey that was available.